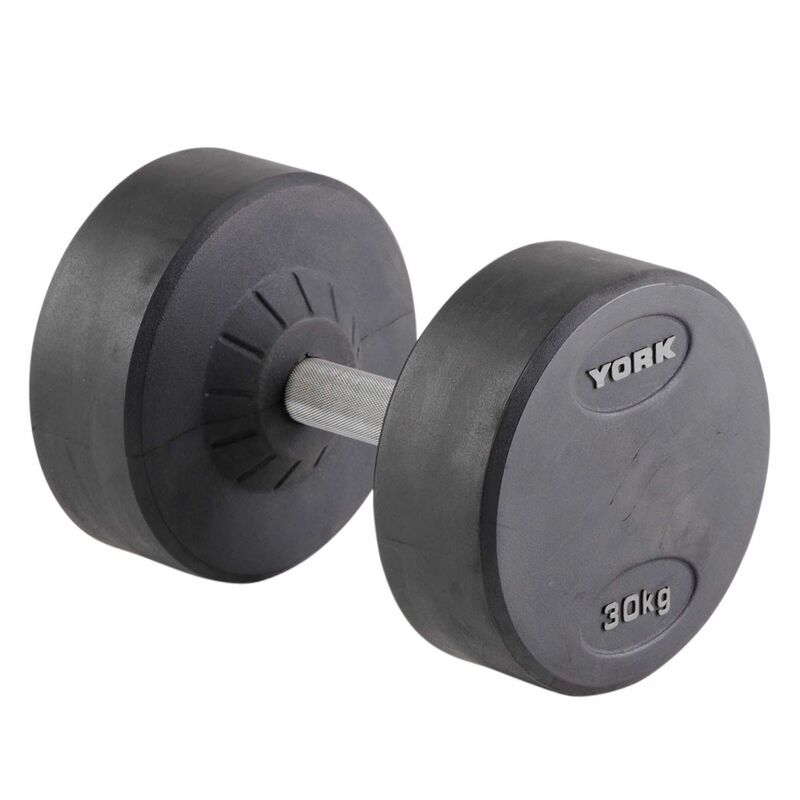 The York 30kg Pro-Style dumbbell is part of the York’s most robust steel handle dumbbell range. It is ideal for performing bicep curls, lateral or frontal movements that grow the arms, triceps exercises, as well as back exercises. The dumbbell’s handle bar is chrome plated and features knurled textured hand positioning that guarantees balance and strong grip. Thanks to its urethane/rubber weighted fixed ends, the dumbbell ensures enhanced durability. It is sold individually. for submitting product review about York 30kg Pro-Style Dumbbell.